Word searches are a fun way to pass the time and a great activity in a classroom. Word searches reinforce the recognition of the vocabulary words for the subject and the challenge can give students a sense of accomplishment on completion. 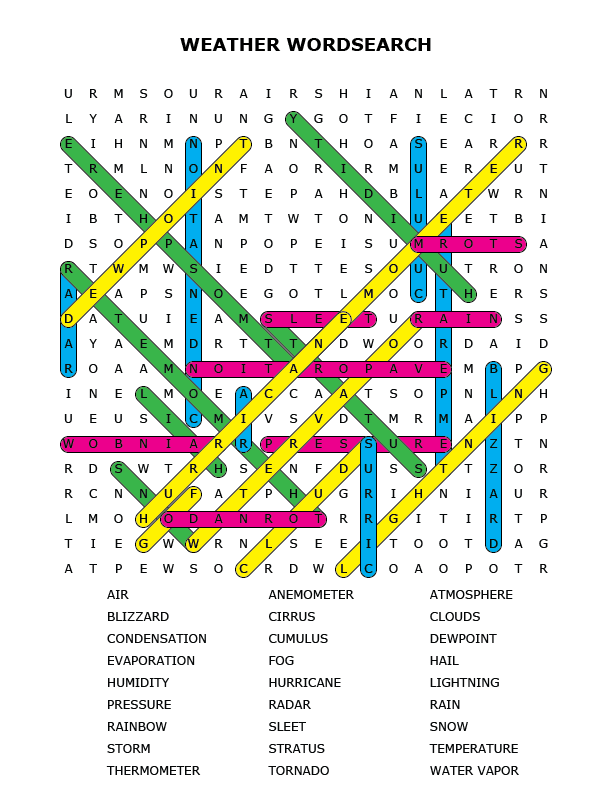 This weather word search puzzle contains vocabulary words dealing with introductory weather concepts. These terms can be found horizontally, vertically, and diagonally. Click the image for full-size or download the PDF and give it a try. 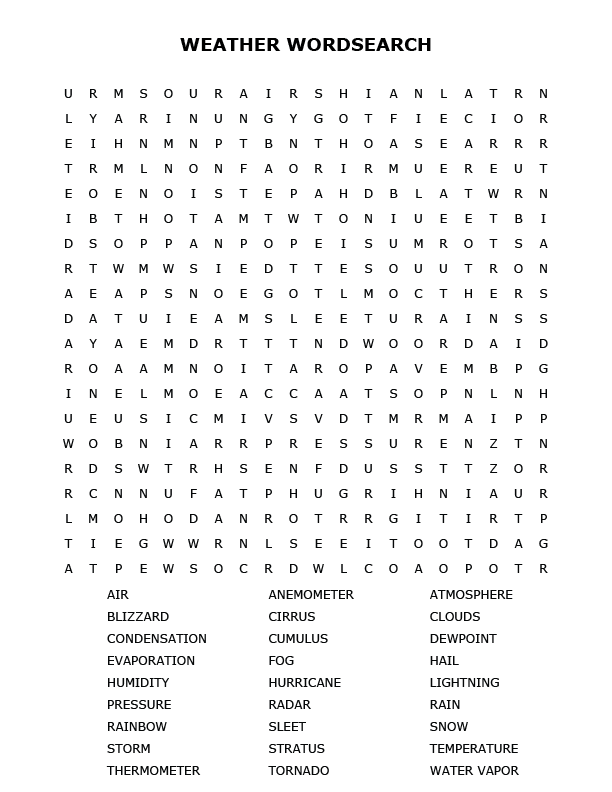 If you would like some help finding some of the terms, take a peek at the solution to the weather word search puzzle. You can download the PDF of the completed puzzle. Enjoy! This is very helpful. I suggest if anyone wants to use this they can.